Please click here to R.S.V.P. Please click here to walk with us! 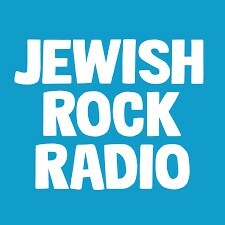 Jewish Rock Radio will host a concert from Or Shalom! Clergy and congregants from all walks of faith joined us for our Solidarity Shabbat Mishpacha (family) service on November 2. Together we found joy after a very difficult week. Together, we found peace. Together, we mourned the lives lost and prayed for the healing of the injured. Together, we joined in peace, prayer and hope for a future where love, acceptance and understanding is far stronger than hate. With hearts full, we thank all who stood together with us, united for good. Amen! Please click here for a video link to the service. Congregation Or Shalom welcomes all who embrace Judaism and want to explore opportunities for meaningful spiritual, cultural and social engagement. Through shared experiences, Or Shalom fosters lasting relationships that connect us as an extended family. We are an inclusive and diverse community that respects individual expressions of belief and practice. Interfaith families are warmly welcomed. Together, we continually discover how Judaism enriches our lives and helps us make the world a better place.